Low-cost, low-power location solution ushers in new era of affordable LTE tracking capability. Sequans Communications and Polte Corporation, provider of advanced Cloud Location over Cellular (C-LoC) solutions, today announced they will embed Polte’s C-LoC software on Sequans Monarch LTE platform. 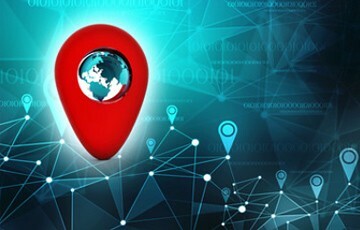 The Monarch LTE chipset enabled with Polte’s C-LoC technology is a low-cost, low-power LTE for IoT location solution that does not require GPS/GNSS or other radios for accurate indoor and outdoor positioning. With this solution, the need for additional radios and the additional cost and power they require is eliminated. The Polte C-LoC solution provides excellent indoor location capability where GPS/GNSS cannot, and also enhances the security of enabling location for IoT devices. Market analysts have estimated that the addressable market for the tracking and tracing of mobile assets numbers in the billions of units, including more than 10 billion units just for pallets. Through their collaboration, Sequans and Polte aim to remove barriers to this market, making it affordable and effective to track assets, such as industrial pallets, via LTE alone. “Polte’s cloud-based positioning technology on Monarch provides great value to our IoT customers, especially asset tracker device makers who need low-cost, low-power solutions for outdoor and indoor locations, such as inside warehouses,” said Georges Karam, Sequans CEO. The post Sequans and Polte to Add Powerful Location Technology to Sequans Monarch LTE for IoT Platform appeared first on IoT Business News.